Above: Ah Pook is Here stop-motion animated film by Philip Hunt, 1994. Reading excerpted from William S. Burroughs’ Dead City Radio. Music by John Cale. We have a new type of rule now. Not one man rule, or rule of aristocracy, or plutocracy, but of small groups elevated to positions of absolute power by random pressures and subject to political and economic factors that leave little room for decision. They are representatives of abstract forces who’ve reached power through surrender of self. The iron-willed dictator is a thing of the past. There will be no more Stalins, no more Hitlers. The rulers of this most insecure of all worlds are rulers by accident inept, frightened pilots at the controls of a vast machine they cannot understand, calling in experts to tell them which buttons to push. 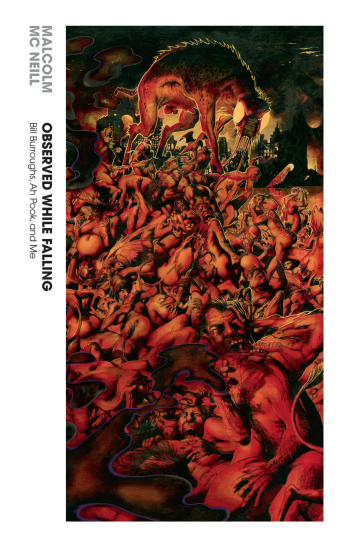 Part II of “Falling into Place,” an exploration of Ah Pook is Here, the word-image collaboration between artist Malcolm Mc Neill and author William S. Burroughs has now been published over at the Believer Logger. Ah Pook is Here, whose brilliance has only recently been introduced to the public imagination thanks to Fantagraphics Books, is long-form graphic narrative that was created long before the concept of the “graphic novel” was in widespread use. Observed While Falling: Bill Burroughs, Ah Pook, and Me is author Malcolm Mc Neill’s memoir of his time working on Ah Pook is Here. It describes how the project irrevocably transformed his life. Observed While Falling is an account of the personal and creative interaction that defined the collaboration between the writer William S. Burroughs and the artist Malcolm Mc Neill on the graphic novel Ah Pook Is Here. The memoir chronicles the events that surrounded it, the reasons it was abandoned and the unusual circumstances that brought it back to life. Mc Neill describes his growing friendship with Burroughs and how their personal relationship affected their creative partnership. The book is written with insight and humor, and is liberally sprinkled with the kind of outré anecdotes one would expect working with a writer as original and eccentric as Burroughs. 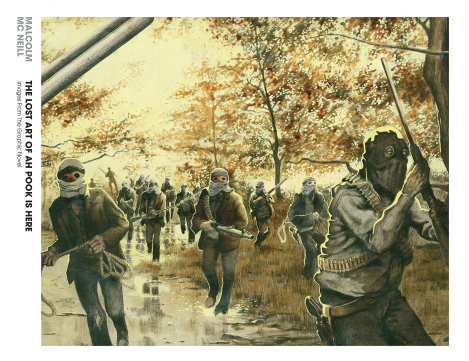 It confirms Burroughs’ and Mc Neill’s prescience, the place of Ah Pook in relation to the contemporary graphic novel, and its anticipation of the events surrounding 2012. 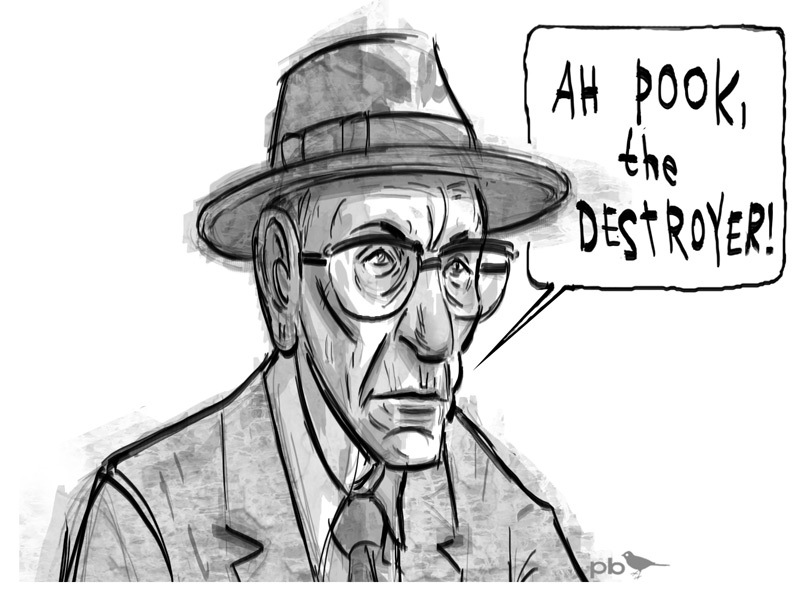 The book offers new insights into Burroughs’ working methods as well as how the two explored the possibilities of words and images working together to form the ambitious literary hybrid that they didn’t know, at the time, was a harbinger of the 21st century “graphic novel.” Mc Neill expounds on the lessons of that experience to bring Ah Pook into present time. In light of current events, Ah Pook is unquestionably Here now. In 1970, William S. Burroughs and artist Malcolm Mc Neill began a small collaborative project on a comic entitled The Unspeakable Mr. Hart, which appeared in the first four issues of Cyclops, England’s first comics magazine for an adult readership. 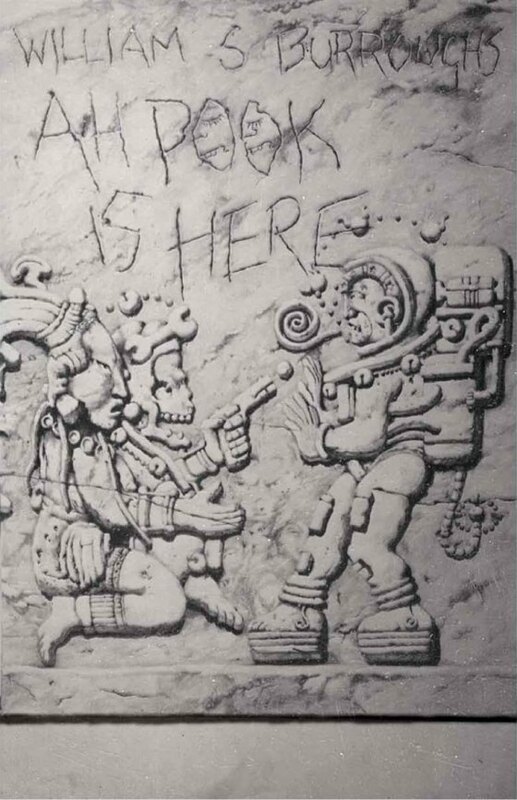 Soon after, Burroughs and Mc Neill agreed to collaborate on a book-length meditation on time, power, control, and corruption that evoked the Mayan codices and specifically, the Mayan god of death, Ah Pook. Ah Pook Is Here was to include their character Mr. Hart, but stray from the conventional comics form to explore different juxtapositions of images and words. 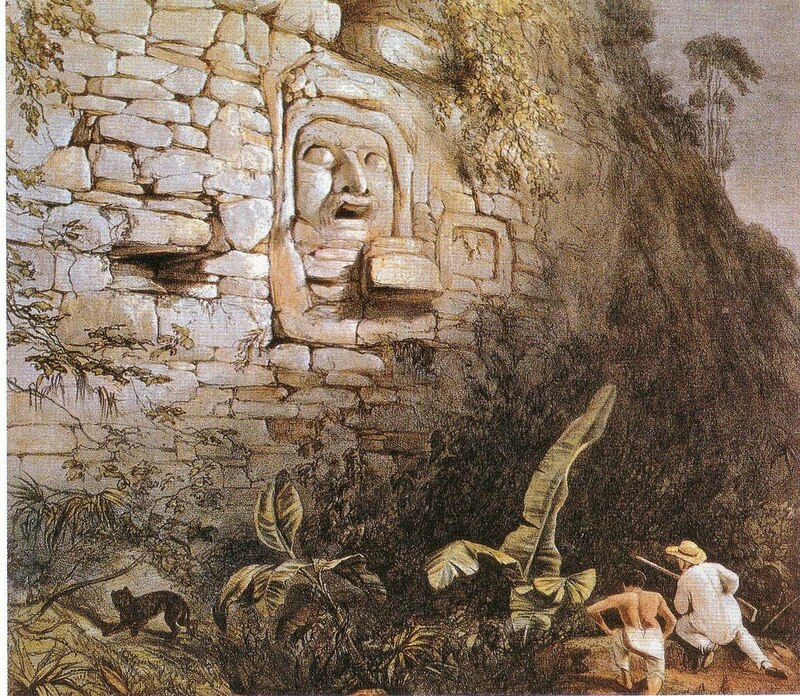 However, Malcolm Mc Neill created nearly a hundred paintings, illustrations, and sketches for the book, and these, finally, are seeing the light of day in The Lost Art of Ah Pook. (Burroughs’ text will not be included.) Mc Neill himself is an exemplary craftsman and visionary painter whose images have languished for over 30 years, unseen. 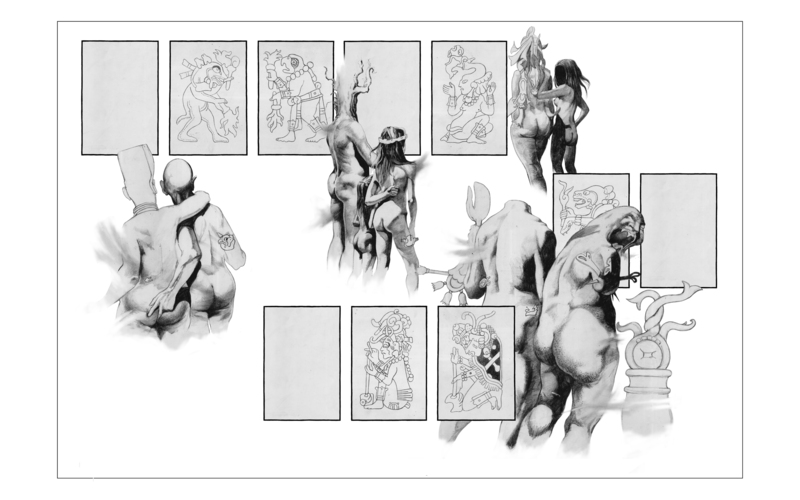 Even in a context divorced from the words, they represent a stunning precursor to the graphic novel form to come. Sara J. Van Ness contributes an historical essay chronicling the long history of Burroughs’ and Mc Neill’s work together, including its incomplete publishing history with Rolling Stone’s Straight Arrow Press, the excerpt that ran in Rush magazine, and the text that was published without pictures. 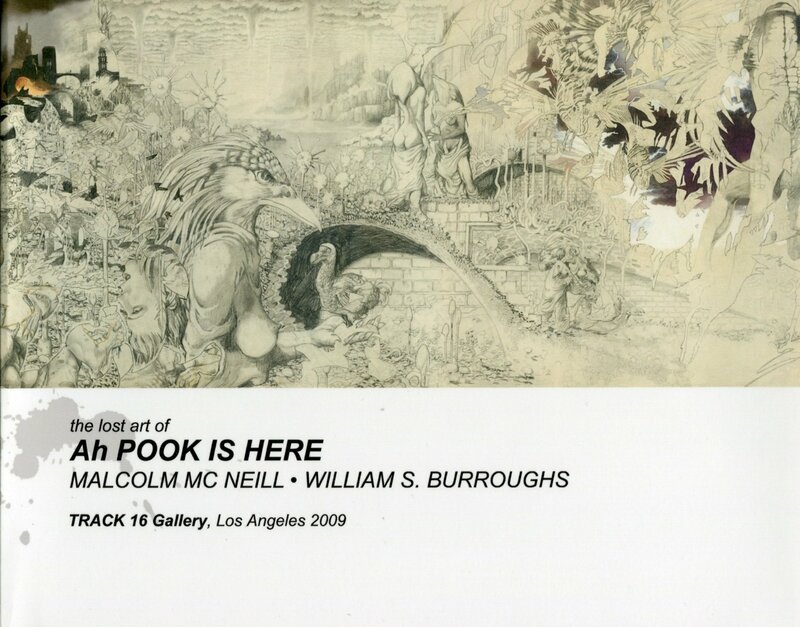 Over at the Believer Logger, the first part of an extended exploration of the the never-published-in-full creative co-construction between Malcolm Mc Neill and William S. Burroughs, known as Ah Pook is Here, has just been published (October 28, 2014). There were two smaller works that also profiled the Mc Neill- Burroughs collaboration prior to Mc Neill’s memoir, Observed While Falling: Bill Burroughs, Ah Pook and Me, and The Lost Art of Ah Pook: Images from the Graphic Novel (Fantagraphics, 2012). The text included in both volumes was virtually identical, though the formats of each were quite different. In 2009, the artwork designed by Mc Neill to accompany Burroughs’ text was exhibited at Track 16 Gallery in Los Angeles. This is where Gray Groth, co-founder of Fantagraphics Books, first saw Mc Neill’s art and consequently expressed an interest in publishing Mc Neill’s work in a more extensive publication. A hardcover volume called The Lost Art of Ah Pook is Here was published to accompany the show. 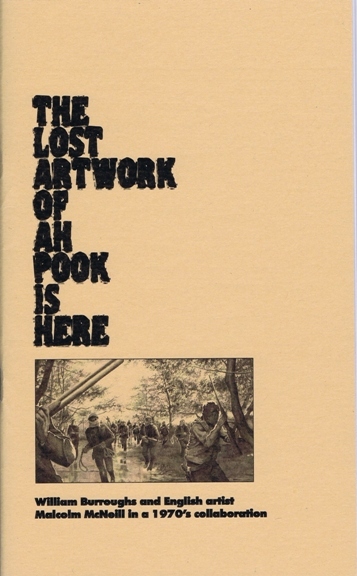 The Lost Artwork of Ah Pook is Here was published in a limited run of 125 copies in chapbook format by The Beat Scene Press. Coventry, England: The Beat Scene Press, 2012. Limited First Edition. Staplebound. “In 1970 Malcolm McNeill [sic] received a phone call from a man who asked to meet “the guy who knows how to draw me.” The caller was William S. Burroughs. McNeill had recently illustrated a Burroughs text called “The Unspeakable Mr. Hart” for the underground paper Cyclops…(WSB & McNeill) discussed extending their collaboration into a book. McNeill was just 23, Burroughs was 56, and the project- tentatively titled Ah Puch- would last for seven more years.” (from the introduction). Many thanks to Malcolm Mc Neill for drawing my attention to these works. 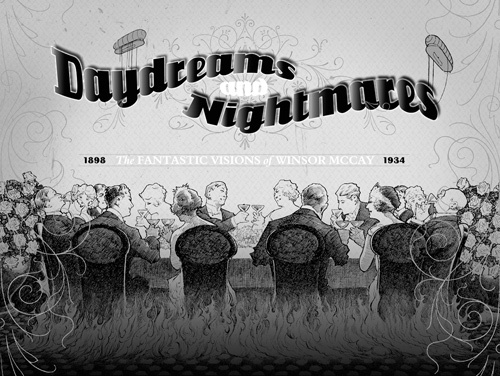 Winsor McCay (1869?-1934) is best known for Little Nemo in Slumberland (1905-1914, 1924-1927), a magnum opus by virtually any cartooning standard, and Gertie the Dinosaur (1909), acknowledged as one of the first great animated cartoons of his and any era. This just in: I was looking for pictures of burgers and fries on Wikimedia Commons for a work-related project (seriously!) and today’s “Media of the day” was a 1916 Krazy Kat animation that has been made available in the Public Domain. Further investigation led to the discovery of an additional Krazy Kat animation also uploaded to the Commons this year. However, neither file included audio, and both were in an .ogv file format, which it would appear is not supported on WordPress without a video upgrade. This led me to searching on YouTube for both videos, and both are there, as well as others! If you are a Krazy Kat fan then you may already know about these videos; it was news to me, so I’m sharing with you for your viewing pleasure. There is a good summary of Krazy Kat animations on the “Krazy Kat” page for Wikipedia. 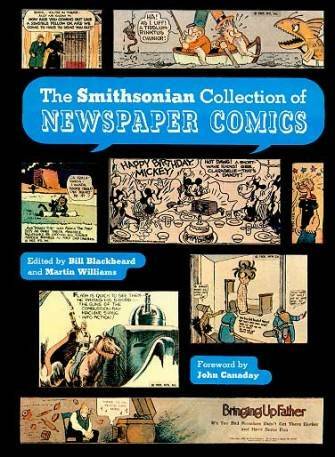 I will only say this: I scoured the The Smithsonian Collection of Newspaper Comics (Smithsonian Institution Press, 1977) as a young lad, and Blackbeard’s commentary in this volume and his essay in The Complete E.C. 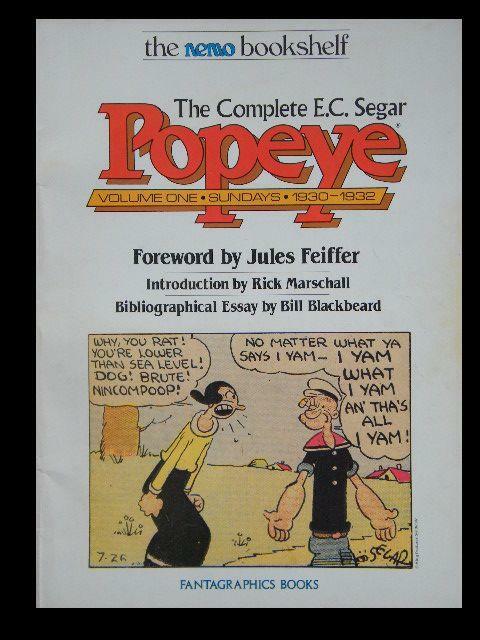 Segar Popeye (Volume One: Sundays, 1930-1932) were among the first extended historical treatments of comics I ever read. May Blackbeard’s contributions to comics long be remembered. Bill Blackbeard, 1926-2011 (The Comics Reporter, April 25, 2011). Bill Blackbeard, R.I.P. by Jeet Heer (The Comics Journal, April 25, 2011). Bill Blackbeard: Tributes, edited by Dan Nadel (The Comics Journal, April 25, 2011). Bill Blackbeard Dies at 84; Saved Comic Strips, New York Times, April 29, 2011, by Margalit Fox. What did we do before the Internet? I can’t remember. 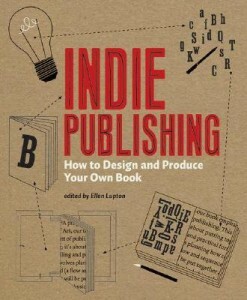 I’ve been reading the book Indie Publishing: How to Design and Produce Your Own Book (Princeton Architectural Press, 2004) by Ellen Lupton. I was drawn to the book initially because I noticed it in a bookstore and it featured both McSweeney’s and Drawn & Quarterly in a section called “Indie Inspiration: Designers as Publisher—Artists’ Books as Indie Publishing.” Since the book wasn’t readily available at the library, I decided to read two other books by Lupton that were—Thinking with Type: a Critical Guide for Designers, Writers, Editors & Students (Princeton Architectural Press, 2004), and Graphic Design: The New Basics (Princeton Architectural Press, 2008). I’ve found all three extremely instructive, with lots of visual examples and variety in the page layouts. 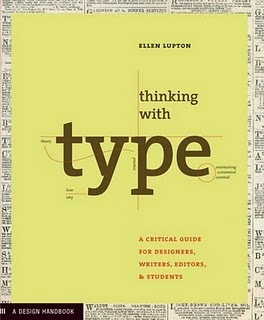 Good primers for anyone interested independent publishing, typography and visual design, respectively. But that’s not what I want to talk about right now. 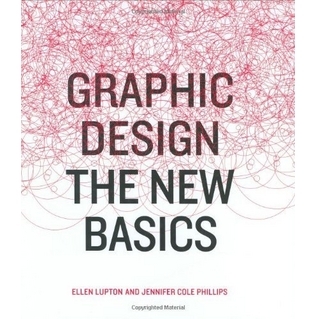 I went on the Lulu site, and I’ll be gosh-darned if the book isn’t available for free as a PDF download! 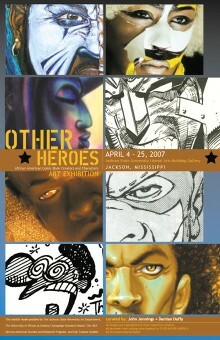 Earlier this week (March 14), Jeet Heer published a post on the Comics Journal website called “Racism as a Stylistic Choice and Other Notes.” The article was timely for me, since only recently I wrote on the subject of Dwayne McDuffie and the minstrelsy tradition in comics in a post of my own. Nineteenth- and early 20th-century comics dealt in caricature, not characters, and not just in ethnic and racial matters…Racial and ethnic stereotypes grew out of this larger tendency to caricature. This is not to deny the racism or malevolence of the stereotype but rather to link it to the formal practices of the cartoonists. It’s not just that cartoonists lived in a racist time but also that the affinity of comics for caricature meant that the early comic strips took the existing racism of society and gave it vicious and virulent visual life. Form and content came together in an especially unfortunate way.